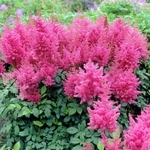 Astilbe arendsii 'Federsee' has rich watermelon pink/red flowers. 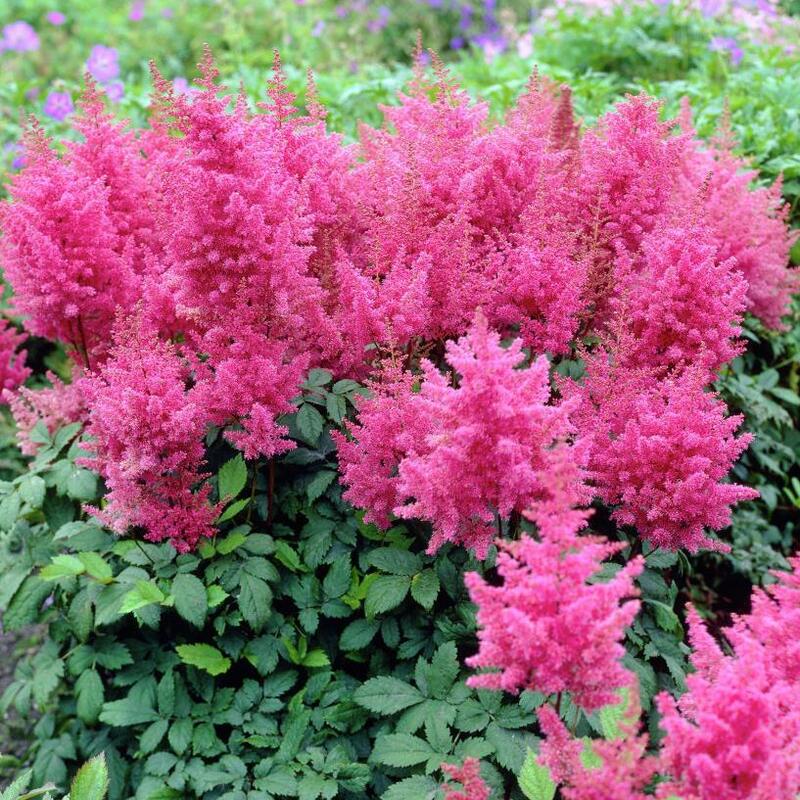 Tolerates dryness better than most astilbe. These big dense flowers sure add a lot of color to the garden and the flower vase.